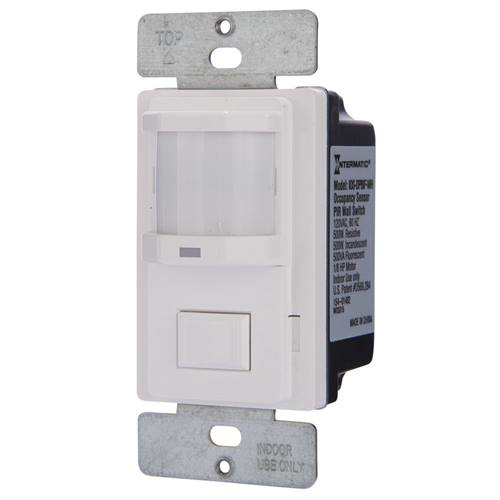 The Intermatic IOS-DPBIF is an in wall vacancy and occupancy sensor switch supporting most loads including LED, incandescent, fluorescent as well as motors or fans. 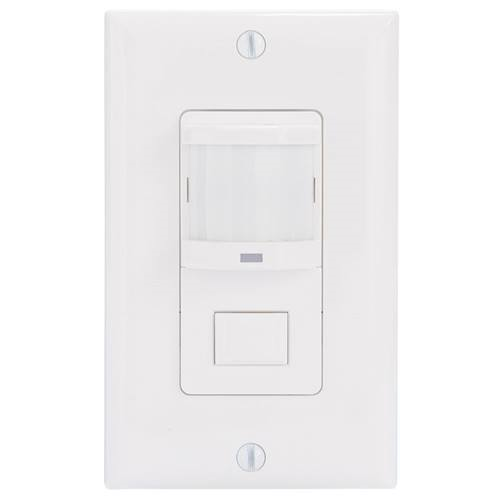 Using PIR motion sensing technology with adjustable sensitivity, the IOS-DPBIF can automatically turn on a light or fan and keep it on as long as motion is sensed. 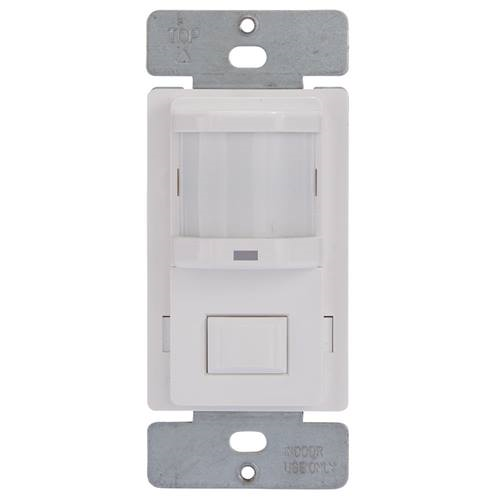 When no motion has been sensed for the user set time, the light or load will be turned off. 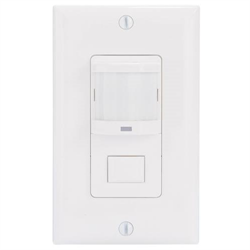 This occupancy sensor switch also has an adjustable sensitivity light sensor. The off time can be set for 15 seconds to 30 minutes without motion. The switch can also be turned on manually and kept on as long as motion is sensed during the set time.